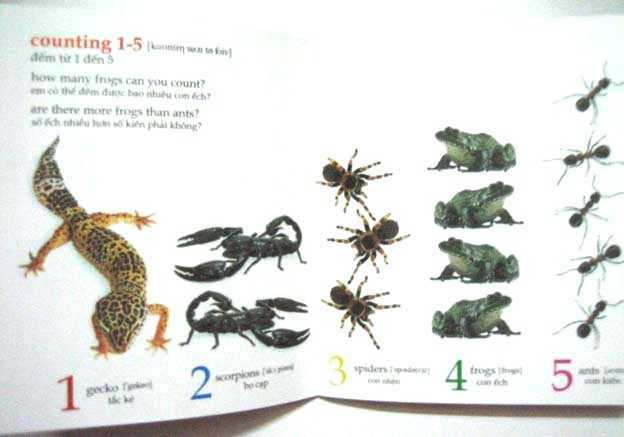 Pocket Dictionary 6"x5" (36 pages) Printed by Art Publisher of Vietnam English-Vietnamese Picture Dictionary-Baby Animals (Recommend BKB11-Animals Dictionary to go with this one) This dictionary helps children enrich the vietnamese and english vocabulary and develop their reading skills. It is a great book for a beginner bilingual children. 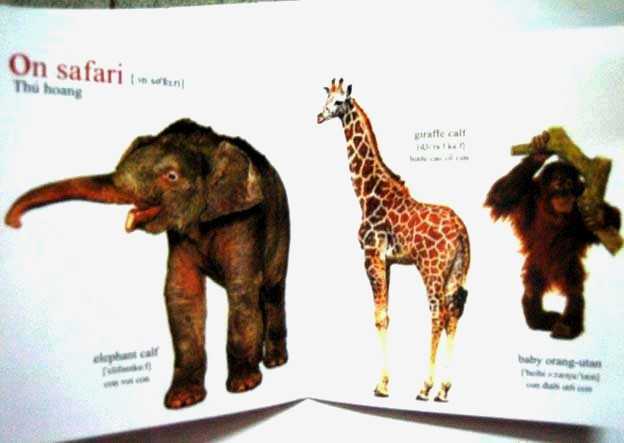 The vocabulary is divided into three sections: Farm animals, Water animals, Safari animals with provocative pictures. 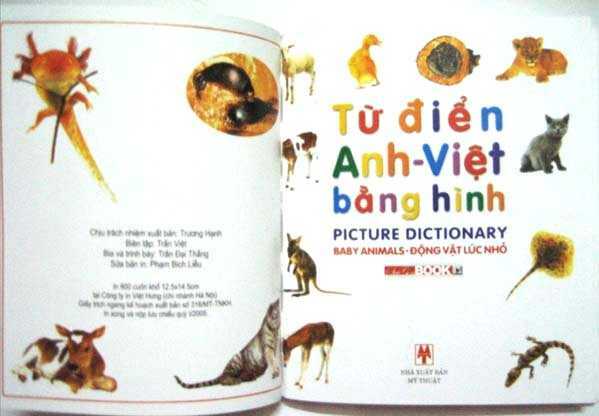 This book is good for both vietnamese and non-vietnamese speaking children because they help children to explore the world with pictures. Also recommended to parents who have vietnamese children.